The Believer magazine hosts our final Lit Walk stop at Goosetown Cafe with authors who have appeared in their pages. 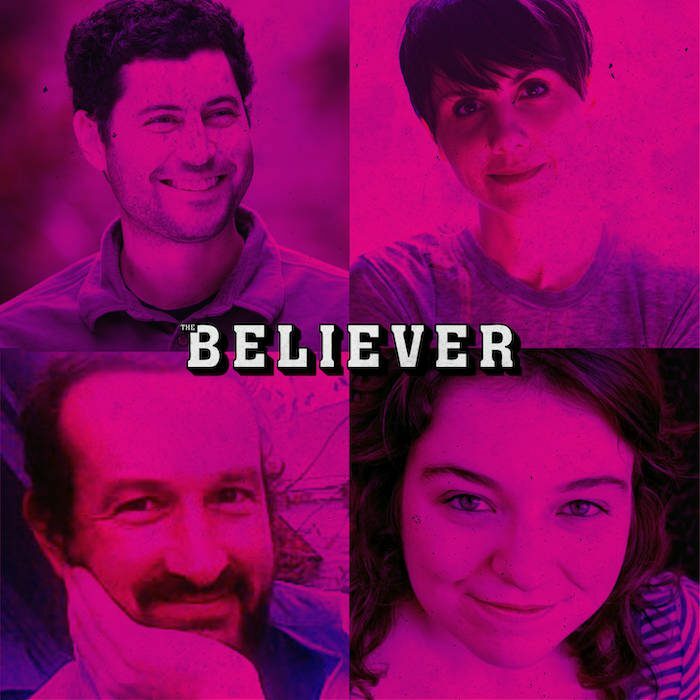 The Believer, a five-time National Magazine Award finalist, is a bimonthly literature, arts, and culture magazine based at the Beverly Rogers, Carol C. Harter Black Mountain Institute in Las Vegas, Nevada. In each issue, readers will find journalism, essays, intimate interviews, an expansive comics section, poetry, and on occasion, delightful and unexpected bonus items. Their poetry section is curated by Jericho Brown, Kristen Radtke selects comics, and Joshua Wolf Shenk is editor-in-chief. All issues feature a regular column by Nick Hornby and a symposium, in which several writers expound on a theme of contemporary interest. Jessica Hopper is a music critic and the author of Night Moves and The First Collection of Criticism By A Living Female Rock Critic. She was formerly the Editorial Director at MTV News, and an editor at Pitchfork and Rookie. Her essays have appeared in Best Music Writing for 2004, 2005, 2007, 2010, and 2011. Her book The Girls’ Guide to Rocking was named one of 2009’s Notable Books For Young Readers by the American Library Association. Daniel Gumbiner was born and raised in Northern California. He graduated from UC Berkeley in 2011 and now lives in Southern Nevada. His first book, The Boatbuilder, was nominated for the National Book Award. Rebekah Frumkin is a graduate of the Iowa Writers’ Workshop and the Medill School of Journalism. Her fiction, nonfiction, and journalism have been or will be featured in The Baffler, Catapult, Electric Literature, Granta, Guernica, In These Times, Literary Hub, McSweeney’s, Outside, Pacific Standard, and Poetry Magazine. She wrote a novel, The Comedown, which was published by Henry Holt in 2018 to critical acclaim. She currently lives in Louisiana, where she is a Visiting Assistant Professor of Fiction Writing at Louisiana State University. Peter Coviello has written about Walt Whitman, Mormon polygamy, Steely Dan, the history of sexuality, queer children, American literature, stepparenthood, and Prince. He is the author of Long Players: A Love Story in Eighteen Songs, and his work has appeared in The Believer, Frieze, Avidly, Raritan, and the Los Angeles Review of Books, as well as in several books. In 2017–18, he was a fellow at the Institute for Advanced Study in Princeton, New Jersey. He lives in Chicago.